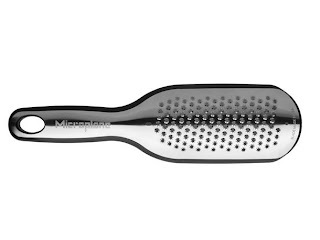 Do remember when Microplane graters first arrived in kitchens, and they were on everyone's wish list? How could they possibly top that innovation? Well, they tried. The latest revision of those graters is the Elite series with a more ergonomic design. The plastic cover holds up to a cup of the grated product - and there are measurements on it so you can see how much you grated. To keep the grater from sliding around on the counter as you grate, there's a non-slip base. 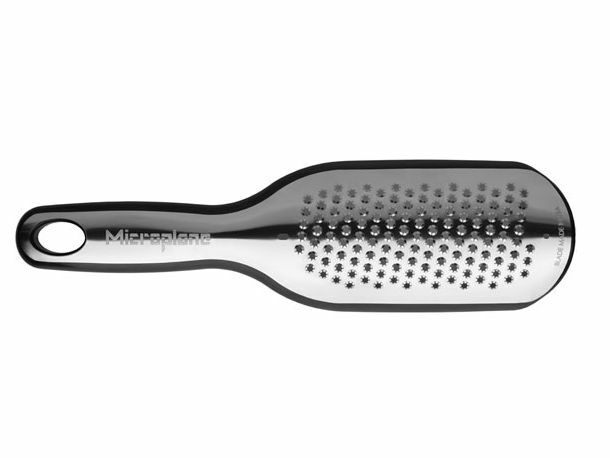 Are these earthshaking features that will make you throw out your current Microplane graters and buy these new ones? Probably not. But if you're in the market for a new grater for yourself - or as a present for someone who doesn't already have a drawer full of Microplane graters - these Elite graters are worth a good look. One of the Elite series graters has a grating surface that wasn't available in the original series - the star grater ($16.95) that's intended for grating hard cheeses like parmesan. 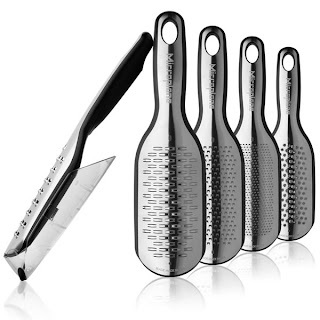 For me, this is the perfect grater since I tend to grate at angles rather than straight up and down, and the star-shaped teeth work no matter which direction you're moving. The result is a really fine and somewhat irregular pile of fluffy shreds. The other graters in the series are the usual suspects - fine, coarse, extra coarse and ribbon. All very useful graters, if you don't already have them. I have to say that the star grater is now my favorite for grating hard cheeses, no doubt about it. Before this, I was using a fine grater, but this one definitely is easier to use and I'm pleased that the grater cover holds a decent amount of cheese. Maybe not enough if you're planning on grating a pound of cheese, but plenty for that pasta dinner. I was provided with samples fro the purpose of a reviews on Serious Eats.